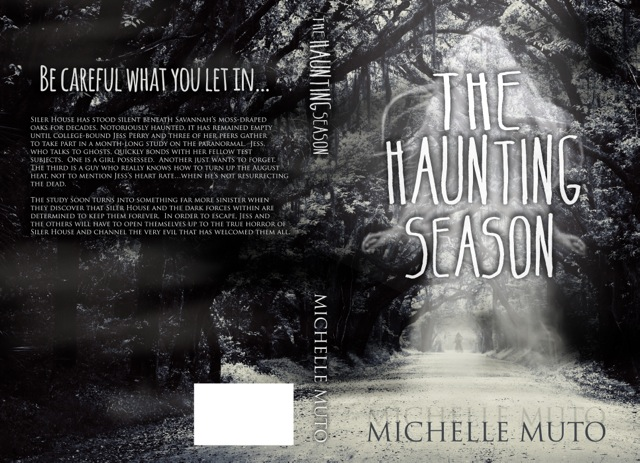 Just thought I’d share talented Supernatural YA writer, Michelle Muto’s cover reveal with you – Michelle is a friend and a great writer, so I’m proud to help her show off the eerie new cover for her book. I’m a big fan of her other titles, The Book of Lost Souls and Don’t Fear the Reaper, so if you like supernatural YA, check them out…along with her new release in December. Thanks for helping spread the word, Tom! That’s a really scary cover and I can’t even begin to read the blurb (I did try, honest) but then we all know what a chicken I am.